Police and Fire officials are still on the scene investigating. A mother and her autistic daughter died of smoke inhalation when fire ripped through a house on Vineyard Avenue in Newington. Newington firefighters were called a single-family home at 290 Vineyard Ave. around 2:45 a.m. on Thursday when someone reported seeing heavy fire shooting from the roof of the house. "The flames were probably shooting 15 to 20 feet out of the bedroom windows upon arrival and it already extending up the attic,” said Deputy Fire Chief, Frank Papa. Firefighters found Melissa Pelletier, 41, and her 17-year-old daughter, Nicole Pelletier, inside the fire-ravaged home. Melissa Pelletier and her daughter Nicole Pelletier were both killed when fire ripped through their single-family home at 290 Vineyard Ave in Newington. At one point, one of the victims was carried out onto the front lawn, where CPR was performed on her, in a desperate effort to save her life. The mother and daughter were rushed them to an area hospital, where they were pronounced dead. 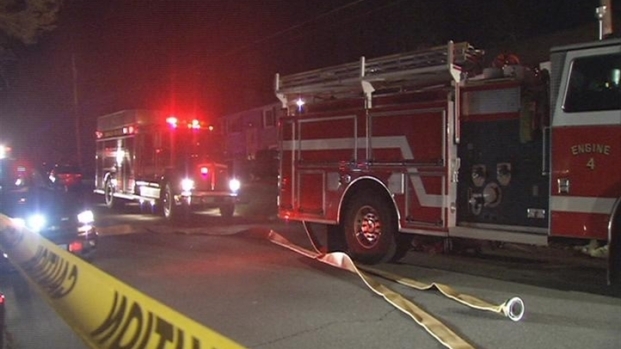 On Friday, the medical examiner ruled the cause of death smoke inhalation, accidental. Officials said it appears the fire began in a bedroom in the back section of the house. It's not clear how it started and there were no smoke detectors in the home, officials said. Neighbors are mourning the loss. Bill Morris lives across the street from the home and awoke to firefighters working to knock down the fire and rescue those inside. "I looked out the window and saw a blaze just pouring out the house over there, just pouring out,” said Morris. One firefighter was also taken to the hospital for a minor ankle injury, fire officials said. The state fire marshal's office will help local authorities investigate the cause.